Ming , Do we get to read your take on the camera ? When I’ve had sufficient time shooting with one, of course. well looking forward to read your take and soundimageplus’. Two blogs left out there still their writings are worth reading. The reference to 1.3 crop in the second post is weird. Assuming 1.3 is the right factor, this means that in 35mm full frame terms, the two initial lens offerings will give equivalent images to 35mm and 70mm. That’s quite a useful two lens combination, provided the lenses are up to it. I would have liked the option of macro on the 90mm. I really don’t get the reference in the second article to the sensor being less than medium format “full frame” – what is that? I’m not aware of any sensor achieving the traditional Hasselblad 6×6 size, and each medium format manufacturer seems to provide their own sizes. This camera, with its 44×33 sensor is the same size as the H6D50c and PhaseOne’s IQ350MP, so to call it a “little brother” is both misleading and unfair. If I were to stray into this field, I would certainly be quite happy with a 44×33 50MP sensor. Incidentally, the S sensor is 45×30, which is only slightly smaller, but is the traditional 3×2 proportion started by Berek. Don’t you mean Oscar Barnack? Max Berek designed the Elmar f3.5/50mm lens, but it was Oscar Barnak who designed the camera. Hi Ming, I know you can’t say anything but your eventual hands of of this camera is the one I would lend the most weight to being an actual professional Hassy user. Your articles on printing also kick started my love of printing again in all sizes. The largest are the most satisfying of course. I’m actually surprised the new camera is priced somewhat reasonably. By reasonably I mean there doesn’t seem to be a Leica-like tax or even a Lunar-like mark up. It’s still way out of my league, but this has to bode well for medium format mirrorless price offerings from Fuji and Sony if/when they materialize. Well, it isn’t a rebranded anything. That probably has quite a lot to do with it…take out the ‘brand tax’ and margins shift. The dial is there behind the shutter button, but it looks like you can somehow pull it into the body, probably a protection to avoid that you change settings unintended? I guess we’ll know more tomorrow when they unveil more details, but I was wondering how I should consider potential use of the X1D with new lenses that have maximum apertures of 3.2 and 3.5? Will they be more effective than a D810/Otus combo? In other words, is a larger aperture 35mm lens and FF 36MP sensor offer similar potential to the X1D MF 50MB sensor using an aperture several stops slower than the Otus? The quality of the lenses is the big question mark for me. While the idea of a medium format mirrorless is appealing, buying into a whole new system without the benefit of top notch lenses is not so appealing. Widely leaked now, as someone who has followed their recent models, the question is should you spend an extra 6000 US/Sterling for the Has when it’s a 2000 Sony? There’s no way even Sony can sell a MF body cheaper than its own FF offerings. Ming, unless this is a spoiler, it would seem that you have been unfairly fettered by the non-disclosure order from Hasselblad. 9.000$ for the body and 2.300$ and 2.700$ for the first lenses sounds great and a winner for Hasselblad. Or somebody didn’t respect theirs. Not everybody in this industry has such a thing as integrity. Ming, for some people, such as yourself, true integrity can not be bought, for others, well, they’d sell their soul to the devil. I applaud you. New MF mirrorless system that wil be co-developed with Sony priced somewhere between the Leica SL and the Pentax MF digital body. There will e a Sony version with a more prosumer body. It isn’t a Sony collaboration or rebrand. Mulling this over an early cuppa, I realise we have all been thinking “gear” and what people would like to see the next Hasselblad incorporate, i.e. their wishlist. But what if the “game changer” is more not what it is, but how it does it? They bring the camera that Nikon should have brought to market: Mirror-free MF camera with 50 and 100 MB digital back. for about 5000 US$ body only. I’m fairly sure the component cost of the 100MP sensor alone is more than that. Agree – body only means w/o digital back and no lenses… Anyway: It’s a pitty that Nikon sleeps deep and lose market share. They should open MF market to save their business. $5k would be way too expensive for a Nikon, especially without a sensor. Hmm…the D5 is closer to 7. The problem is that their usual customer base will get sticker shock and rally against it. While not quite pocketable, it does have its own wheels . . . There are some tech sites claiming its going to be a “Moto Mod” – a wrap around for the new Moto phone. Not exactly a game changer as there have been “wrappers” for iPhones for some time. That would be monumentally disappointing. How many people actually own Moto phones anymore? It looks to me like the first and second photos are of theft hand side of the camera from the front, and the same side from the back. The hump in the first image is the viewfinder and the two buttons are the shutter release and something else, with the dial shown in the second picture (view from the back, right hand side) just out of picture to the left. Looks like cast aluminium. Nice. Hello Ming, my thoughts from the comments, as well as based on my history with Hasselblad of the past are: I am looking forward to a camera, a tool that works from the get go! No issues, please! Clean and logical menu system. Do we really need hundreds upon hundreds of OK, NO choices to set up a camera? And then attempt to change them for a different situation?… without the Hard Cover user manual? A hint is for an attraction of a new user base, so please have a well designed lens system ready to go as well. A set of “mini” Otus primes! In- house designed adapters for specific existing lenses… In other words, it would be a game changer if they did everything right, that established choices are unwilling to do! A true merging of a “mechanical” camera body with the electronic and optical systems of the digital age. Not just a grafted in half solutions. All the best, looking forward to the official announcement! After looking at the latest leaks it seems like I wasn’t too far away.. 😉 Nice! I do enjoy a good mystery, and you have cultivated and hosted the very best of them here. Safe in the knowledge of your endorsement, I am not at all anxious, and have thoroughly enjoyed the “games”. This thread has been fascinating – reading what people want whilst trying to rationalize why tis is what they will get. A tip of my hat to all who have participated for a pleasant and considered discussion – a rarity on the web these days. I must also commend the marketing folks at Hasselblad for cultivating this build up. The invitation (i.e., the use of a portion of “the big picture” and the ambiguous wording), not to mention the timing, (i.e., away from the major photo-related events) has drawn much from the very successful Apple play book. They have drawn good attention to the event, no doubt about it. Thank-you for the reassurance, Ming. I am indeed enjoying my CFV-50c – my wife says “thank goodness for that” – the quality when the weak link (me) gets it right is sublime. In a world that can be overly digital, the mix of analogue V camera experience with the digital back is pure heaven, and wonderful tactile therapy. And I have finally completed my lens collection (CF minimum), from 40/f4, through 80/f2.8 and 150/f4 – and now 250/f5.6 Superachromat. Now all I need is for the rain and grey clouds to part. Good choices – though I prefer the 50 FLE over the 40 and landed up selling that; the 150 and 250 SA are gems. I’m torn between two bets. Both would be game changers and really, really nice, as long as the price isn’t too steep. Or a MF body with and EVF and very similar to Sony’s A7 series but upscaled to MF, new lens system – adaptable old glass etc, with professional battery life and all that jazz. For the announcement to be “at least twice as interesting” they will release both!!! A Fuji GS645 or Bronica RF645 style mirrorless would be excellent. Interesting – while I’m a Leica user through and through, I do miss my 503xc. All this talk of a 6×6 sensor with an EVF and universal mount is tempting and intriguing, but how realistic? The current holy grail seems to be a compact medium format digital camera which will take a variety of lenses, and any competitor in the market opened up by the Leica SL needs to offer something more than “me too”. So, let’s look at the specifics – if it is to be EVF, it will need to be CMOS (CCD doesn’t do live view); to attract market attention, it will need to complement Hasselblad’s other market offering, notably the H6, so that would suggest the 50c CMOS sensor? ; if the camera is genuinely going to be medium format, then the size of the thing get tricky – the register distance of H lenses is 61.63mm, and of the 500 series V lenses, 74.9mm. What does all that mean? Well, this won’t have a universal camera mount if it is to be medium format, and if it takes existing Hasselblad lenses (which would be logical) it won’t be compact either. You’re getting very swiftly back to the size and dimensions of the 500 and H series cameras, with little to no advantage in size (or cost) of having an EVF. But if it’s full frame, then we get into universal mounts, adapters and making the most of available lenses from others, including a mount for existing Hasselblad lenses – all would be fine on a full frame body, provided the adapters established the correct register distances so the lenses could focus at infinity. Such a camera would be competing with the A7 series (allowing Sony to rebadge?) and the Leica SL. I wouldn’t bother, I don’t think. I don’t share Ming’s distain for the SL – I love mine, warts and all. For my hands, the ergonomics are fine (it sits better in my hands than the M, in truth). As for focus shift – havent noticed it, haven’t been looking for it, rarely focus and stop down, beside autofocus sorts that. It may be my inferior technique, but I tend to select my aperture and shutter speed (AutoISO) then focus and compose – even if focus shift were to be a problem for me the “kit lens” (somewhat disparaging term) focuses just fine. But that wouldn’t be a game changer, surely? The H5 and H6 will already both take film backs in addition to the digital back. (2) or more new models? M Mount + Full Frame Merrill Sensor + 4 MP EVF + Grip + 5 X battery + Size of Leica SL is certainly a feasible possibility. Sigma can do it today it wants to. I was told there isn’t enough computing power/ heat dissipation for the processing requirements of FF Foveon – yet. Given Hasselblad’s long-time relationship with Fujifilm (X-Pan, HD-Series cameras, etc. — that also had Fuji iterations — and given that Fuji is said to be announcing its own mirrorless medium format camera system in three months at Photokina, one wonders if there might be a collaboration/synergy taking place here as well. That’s what I was thinking too, Robert. But who else is making an available-as-component MF CMOS except Sony? Well, Sony makes sensors for a variety of cameras. No reason why the sensor itself couldn’t have been sourced from Sony. Who makes the sensors for the H-Series Hasselblad cameras? Are those from Sony, do you know? I’m guessing so. Right, so Hasselblad’s existing lineup is chiefly Fujifilm bodies and lenses with Sony sensors onboard. No reason to think this product will be any different, particularly given all the other (admittedly) circumstantial evidence we see building. I honestly don’t know for sure. I’m just connecting some rather prominent forensic dots here. There seems to be some detail lurking in the shadows. Not much, though. I guess the laughter over the Hasselblad Lunar has died down to the point where this is now a safe ploy. But shouldn’t they just quietly buy back all the leftovers from dealers to get them off the market? Like a stock buyback, but to bury the embarrassment. The teaser picture is of the top of the camera—the right side of the top plate, to be precise. The bump on the right is the grip, not a viewfinder hump. There is in fact a viewfinder hump, but it’s only hinted at by the curve at the left edge of the photo. The large black “window” is the shutter release or another major control. The two metallic buttons are on the camera’s front. I’m guessing the form factor of the camera is roughly like a Sony A7, only more rounded and made of anodized aluminum. But it wouldn’t be a game changer unless it had a larger-than-full-frame sensor. Interesting deduction Chul but I think there’s a problem to it. If part of the vf hump is visible, a part of the lens mount should be visible too from this angle. IMO it is a body that features interchangeable mounts. An EVF and the ability to use LS lenses. I expect possible AF support with appropriate mounts such asCanon or Nikon. For me, the ability to use LS Hasselblad lenses would be enormous. Forgot to add: A detachable rear screen that allows handheld control and viewing so one doesn’t need to use the spectacular EVF. You get that already with the H5/H6 and wifi tethering to your iPhone or iPad. Not sure what it is exactly, but I’m sure the RAW IQ will be exceptional (and jpegs too, for the sake of convenience). That said, the issue for me is lenses. If the new system offer a couple native-mount primes (say 80mm f2.8) for $300-500, w/ prices going up from there, I’d consider it. If the cheapest lenses in the system start at $1000 or more, on the other hand, it’s hard to imagine it being a game-changer for most non-pros, at least most I know… who have mortgages, college tuition payments, etc. That’s probably not going to happen given even mirrorless and DSLR lenses at the low end aren’t of that price. Yet another mirrorless camera and people go bonkers! Is not camera just a tool and what really matters more is the artistic capabilities of the photographer? Tell me which of the Hasselblad award winners including Paul Graham, Cartier Bresson and Friedlander shot with Hasselblad cameras? If you have 10 K $ to spend on the new Hasselblad, better self-publish a photo book and inch towards photographic glory! No? I think Ming it’s because it’s an easier conversation to join and also a new “something” may be something to look forward to (and therefor feel happier). It’s just another camera and as Doug mentioned just a tool. I enjoy different cameras but this get tiresome after a while. There’s only so much that a next generation camera can do for your art. No great photographer is handicapped by the tools at disposal to her. Great photography transcends tools. That’s because the VAST majority of your readers have no real interest in photography. All they care about is the gear. That’s true at virtually every other blog/web site too, so it has nothing to do with you. It’s just a statement of fact, that all these so called “photographers” are only interested in the toys, the gear, and that once the novelty wears off, as it ALWAYS does, then the next round of buying gear starts up. That idea that one needs to spend $10,000 or more to create high quality content is simply laughable. I have seen photographers shooting nothing more than a Canon 6D make images that are astonishing, museum quality works of art. Images that in my dreams I could never hope to make. Doesnt matter if I buy a $10k or $20k piece of kit. NOTHING will change about my images. So much intense focus on gear obscures the reality that interest in photography isnt very high. No, it doesn’t obscure it at all. It’s a thin line between knowing your objectives and selecting the best tools for those objectives, and getting carried away. On top of that, there’s also one’s own skill level. A Ferrari might get you from A to B faster, buttony if you can control it. I know which side of the fence I’m on. Did I ever say you *need* to spend silly money? Haven’t I demonstrated that time and again with crappy $50 compacts and my phone? That doesn’t mean I don’t enjoy using appropriate tools, nor does mean I can’t do more with better. What about a mirrorless camera with 36×36 sensor? Nothing like a square uncropped high res image. I get a feeling we have already seen images from this camera?? 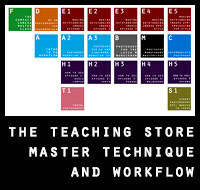 The last few blog posts for example have a lot of pano format images and also some square, rather than 4:3? Would that be close? No, as far as I know, no images have been posted from this camera by me or anybody else. I guess you will deny some things. I’m not confirming or denying anything, because both could be considered breaches of disclosure. It’s amazing how much people read into things…but I AM saying that I have not posted any images from this camera. Or are you accusing me of lying? Hi Ming, I was just making a guess, beautiful images as always, felt like there were more 2:1 format than you normally post but I am just reading in to things. Looking forward to seeing what it is though, I hope we see your normal excellent review once it’s launched. Hasselblad will probably make rebadged versions of Leica S (called Hasselblad Saphire). Wink once for a digital X-Pan. Wink twice for a rebranded A6000. Clap your hands for a 44×33 50mp sensor mirrorless under 1kg. Where did the MF rumor started? Pretty sure this won’t be a MF camera. Hasselblad recently expressed an interest in the lower end market that is currently occupied by Leica. Plus there is no reason to cannibalize their top MF line by releasing a MF mirrorless. Here’s a 50mp FF CCD sensor, perhaps the rumors are referring to this? Thanks, Ming, for waiting so long to post this and to spare us from an even longer agonising wait. It’s hard enough as it is. I’ve never been so excited before a product announcement. I really thought that I was finally cured from GAS, but I just got propelled back to square one. Sigh! Interesting indeed. They’ve already released flagship H6, so my guess (hope) is that it would be the more ‘affordable’ camera CEO talked about. There was some interesting update to one of the articles on Photorumors with a link to new 50mp CCD sensor which is 49×37 – is it possible that this camera won’t feature Sony’s CMOS 44×33 sensor but rather that new CCD? Another thing, if mirrorless then that opens up a lot of options for lenses in various mounts. I’d ditch my M system and V body (would keep lenses of course) for such a camera providing it can do ISO3200/6400. All of the CMOS MF cameras will go to at least 6400, or 12800 for the 100MP. Surprisingly very good results, too. I have no problem using mine at the limit – and pushing further if necessary. After mulling over my $5000 ‘wish’ price, it really is delusional. Taking the entire system into consideration, $7500 seems to be my recalibrated baseline. After adding in the nebulous doo-dads that gear heads tend to overlook, my price guess is now $8500-$9000 USD. If I have to add a $2500-3000 lens on top of that… ouch. They will launch a medium format mirrorless system based on hints from official Hasselblad instagram account. It’ll make MF users life easier : smaller cameras, EVF, adapting lenses will be possible too… so far so good ! Well it most certainly will live in the Leica prosumer segment and thus not be accessible enough to make a real revolution. Maybe a pressure from Hasselblad can make Sony and Fuji to step up on creativity and affordability. There will always be economies of scale to consider: component costs for a D5500 or E-M10 class camera are always going to be significantly lower, which leads you round in circles: there are only a few price points at which the whole business model works for a given sensor size. So this new camera will be primarily for tripod based usage and not for handheld shooting? My thought. It is going to be a mirror less full frame camera with EVF and either an OVF or range finder. I had consider the opto-electronic rangefinder idea, in view of the position of the small window. However, I couldn’t see how it would add value as a focussing aid over on-chip contrast detection, and on-chip focussing has the huge advantage of proving focus on the sensor plane itself. Rangefinders are expensive, so it would have to really add something significant to justify the cost and perpetual need for recalibration. Maybe there are other, novel applications for an opto-electronic rangefinder that I haven’t considered, though. If I read the photograph correctly, the small window also seems to be right next to the right hand grip and therefore possibly obscured by the photographer’s fingers. IMHO it is not very likely to see a FF 24×36 sensor. I guess it will be a mirrorless camera that works with current digital backs and has an EVF. This might encourage a switch in the smaller-sensor digital market away from the predominance of 2×3 sensors, to take us back to a world where, in the film days, photographers had a range of options with aspect depending on the format and camera choice (e.g. square, 4×5, 2×3, 6×7, and the various flavours of panoramic). A recognition that 2×3 for DSLR is rather limiting, especially in portrait orientation? Using a medium-format sensor in a smaller body would allow for a wider variety of options: essentially, a bit like a bigger version of four-thirds. A new propriety set of lenses would be available, but they would also be sensible to allow for adaptors, à la Sony. A mirrorless with medium-format sensor would be nice, but without flexibility in aspect ratios built in it might seem like a missed opportunity, with relatively little market appeal given the attractions of the A7R already. This is why there’s still life left in the film panoramic cameras yet. Panoramic stitching of digital images is just not the same as film’s “instantaneous” panorama. I’d never say that instantaneous digital panoramic sensors can’t be done in a small form factor camera, just that the sensor technology almost certainly wouldn’t be a flat CMOS chip. I very much agree with your observation, though, that as a sensor, film offers a lot more format flexibility than CMOS silicon. You’re right: the fixed aspect ratio of digital chips is somewhat oppressive. There are also limitations of optics: sensors either need elaborate offset microns arrays to offset short flange distances, or physically very large lenses to have a sufficient telecentric-ish image circle. A panoramic format doesn’t spare this – in many ways, a square is the most efficient recording area-to-lens-size solution; pano is worse because you still need a lens whose image circle that covers the diagonal of the format. Oooh… I just can’t resist this bait! He’s also on record acknowledging the persistent popularity of the obsolete Hasselblad V system, and the surprising demand for CFV-50c backs at the lower price point. Also, Hasselblad knows many enthusiasts miss the old look and feel of the square format. Leica’s also come out with the very impressive Leica SL MILC, though that is sporting some pretty big glass. Price point… around the CFV-50c at the discounted (“high enthusiast demand”) price point: US$10,000. That’s a truck load of money, but it is pitching into a similar market as Leica. If Hasselblad stepped up to the plate with something along those lines, no doubt there would be a lot of interest. I suspect that Ming knows this product very intimately already! Price point… around that of the Leica SL: US$7,450. Lenses will be the key to its success or failure: how small is any native glass, how adaptable to multiple mounts, how well does autofocus play. On practical matters, is this announcement timed for 14:00 Central European Time (CET) on June 22? What time and day do you make this at home in Kuala Lumpur, Ming? I believe 1400 hr CET is 2000 hr Malaysia time. June 22 at 9pm (GMT+8). Given the pedigree of the source, i.e., Ming, and his endorsement, I would surmise that the announcement will not be a “Steller” or similar direction that is all glitter but not of value to high end photographers. Rather, it will be a move in a technically sound direction. I wish that I knew Ming more closely so that I could better interpret “interesting”, but it sounds like future promise (e.g., an announcement of a partnership or product/system under development) rather than the description of a new product that is ready to be dropped onto the market. Also, given the recent product announcements for the H6D cameras, I wouldn’t expect another product that was ready to go. There have been rumors of a Sony Medium Format mirrorless system. 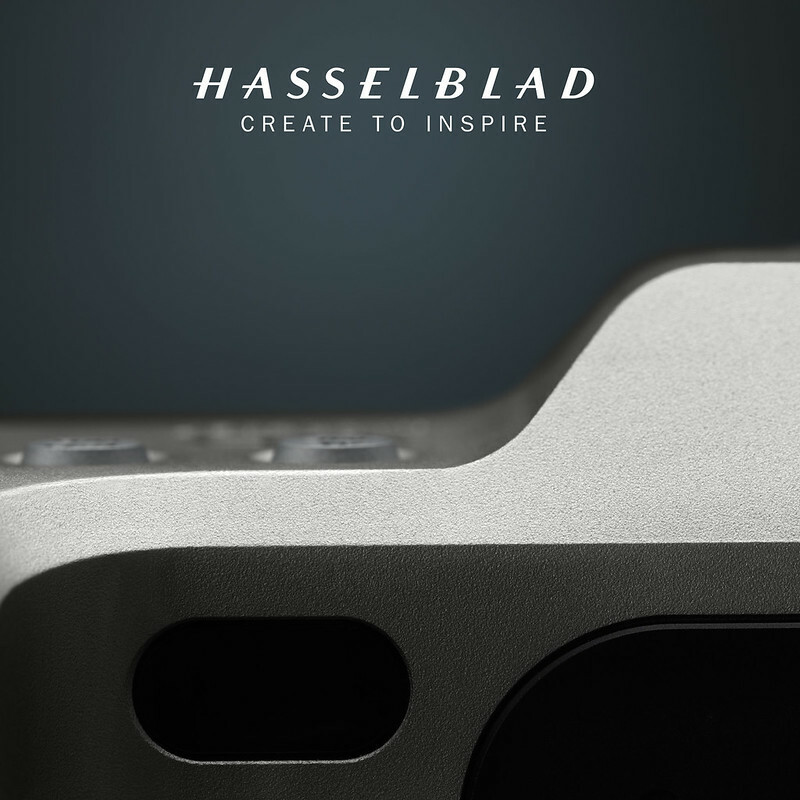 Could this be a collaboration with Hasselblad that adds Hasselblad H (and V) system lenses to a new Sony body + sensor? That would give Sony instant access to a reasonable catalogue of Medium Format lenses, something that would otherwise take it a while to come up with. Witness the several years that it has taken Sony to develop the FE catalogue for the Alpha 7 bodies. A CMOS sensor of course, no going back to CCD sensor technology (i.e., high noise, poor high ISO performance) as has been suggested on some rumor sites. However, a counter argument for a collaboration would be that Sony is on such a roll with the Alpha 7 range, that they would have no problem launching into the Medium Format market alone. I would be interested to read what others make of the picture in the teaser. It looks like some hardware “reality” rather than a future direction. What can people see in it? I interpret it to be part of the backside of a camera body. I see two small buttons on a metal finish body. The small window on the left looks like a sensor portal – IR or light sensing of some other type. The larger window is a rounded rectangle with a deeper beveled edge. I don’t know enough about EVF’s or other such things to know what this window may be. Enough! Over to others with more knowledge of digital full format cameras to comment on the hardware in the teaser photo! It’s hardware. Not a direction. I took the image to be the front of the camera. I see the body slanting back where an SLR pentaprism would once have been. Presumably that is the top housing for an EVF, with the eyepiece out of view on the other side. On the left of the image, I see the body coming out of shot as if it were a right-hand grip. I take the large hole to be the lens mount. It’s an unusual shape for a lens mount: a rounded square rather than a circle. It reminds me a little of the rounded squares one sees on the mounting end of some Hasselblad extension tubes and lenses, such as the old 110mm f/2 FE. I wonder if it might represent a new approach to lens mounting. Perhaps it represents a place to plug-in an interchangeable mount block? Adapters are so prevalent in the MILC world, so why not design a camera that offers two or three different mounts (H, V) out of the box? I thought that the Stellar was a rather pretty re-interpretation of the Sony, unlike the aberration that was the Lunar, a definite blot on the landscape. Their mistake was charging 3-4x for it (Stellar)…not redesigning it. That was so, Ming, but price and design appreciation are two distinct subjects. That is why I commented on the Lunar, ugh, and the Stellar, nice. This is a fascinating post and which has certainly got a lot of people thinking. Generally, with most manufacturers, an announcement such as this would presage a development much along the lines one could expect – the first time they use a FF 35mm sensor, for example – but one could generally get a feel for the direction of the flow. This announcement is intriguing on a number of fronts. A cheaper intro into the Hasselblad system with a new body, a new format, for them, in collaboration or in-house, or what could be the most interesting of all, a new film model! But I believe this latter is unlikely. Well, Ming, that may well rule out a new totally film-based body. Or would it? One wouldn’t have to buy into the digital system just to shoot film. I can’t see this. But how about a retro 500 series digital body? Hasselblad has the technical know-how, so why not shoe horn it in a simpler retro body, and at a relatively affordable price? The older 500-series bodies were actually very expensive to make because of the amount of manual labor and finishing required. A pinhole camera costing £10k ? Posted this on another site but here’s my guess. Since medium format have commonly used backs, my guess is the new camera is just a new thin body with grip and same mount. There will be two backs. One with a short registration distance to the mount and one with the original registration distance (so it sticks out a fair way behind the camera but probably no worse than current backs). So the registration distance is built into the backs instead of into the body. Maybe an upward projecting EVF built into the body and you connect the appropriate finder extension depending on the back you’re using or whether you prefer a waist level finder. A new line of lenses will be announced for the shorter registration distance back. The teaser photo showing the camera without the backs connected? Quite honestly, given my current gear situation the ONLY thing that could interest me (and that I’d buy in a heartbeat, even replacing 80% or more of my gear) would be a medium format – possibly square – digital back compatible with the V series with at least 24Mp, 16bits and priced competitively, let’s say in the range of the A7 series, thanks to the use of such an “old” sensor tech. I’m pretty sure some of the used CFVs/P25s/P45s are getting to that price point ($~3k) already? Yes, but they are quite difficult to find, at least here in Europe, at a decent price unless heavily used. An option to buy them new, and readily available, with faster processors etc. in my opinion could open the amateur / low earning pros market wide open. The problem is nobody makes the right sensor new anymore…and making a new sensor costs much the same regardless of resolution providing it’s of a given size. Why make a 20MP if 50MP costs the same? A Hasselblad 50MP (CMOS) “mirrorless” in 3:2, 35-mm format with: a high-resolution EVF that shows a ‘live view’; in-camera (i.e. sensor) stabilization; HD video; “point and shoot” programming (by-passable); adapters for current Hassleblad lenses and most FX lenses (assuming they have sufficient resolution for the sensor); dual CF card slots; WiFi and USB3 transfer and menu-options programming (e.g on your tablet or lap-top); but… is available only on “subscription” so that at the end of your lease you have to return the camera or buy-out the ‘residual’ with, say, 600gm of flesh cut nearest the heart. It was looking as though you were giving us a “wish” list rather than your guess about the reality. But then you mentioned the subscription payment model and I had to change my mind – you couldn’t possibly have that on a “wish” list. Good riposte. But you are far to honest – not many realize the failings of their photographs are photographer-related not gear-related. I understand that the liver is only mammalian organ that is able to regenerate, so I would be happy to throw half a liver into the kitty also. Very well… half a liver and one testicle, then. I will take your idea one step further: with a modular ‘back’ allowing upgrades to new sensor and technology as needed. That said, with a nice competent AF like Leica managed now would be special. The key is accepting other lens mounts though. It would mean Nikon or Canon shooters could shoot Hasselblad without having to start lens collecting from scratch. M mount with CCD sensor. Same 50 MP (Sony) Sensor as in their CVF-50 back. So the only question remains how they fixed the problem of the flange focal distance, because I don’t think they can afford a second lens line. So we are up to compromises: either an extension tube like Sony did with the FE bodies to accept the A lenses, a built in flange extension like the Sigma sd Quattro, or a fixed lens solution. I would prefer the first option, because then I could use the body also as a digital back on my Linhof Technica, at least for the longer focal range. True, and the body would have to be larger, not necessarily a bad thing, IMO. But I’d guess the only real tolerance would be lens mount flange and sensor and we see that not all metal/plastic cameras always get this right, and this could even be a complete sub-assembly incorporating the reflex mirror box and screen. If the camera were of modular construction, this sub-assembly would be all metal. Or, how about a miniature version of the old brass and mahogany cameras, but with all the digital electronics and camera mount in the rear standard? No AF, of course, but then you would get all the versatility of tilt and shift, and even swing. Hee, Hee. Stop me here, Ming, I’m getting silly. Leica and MM. Pixel shift also. 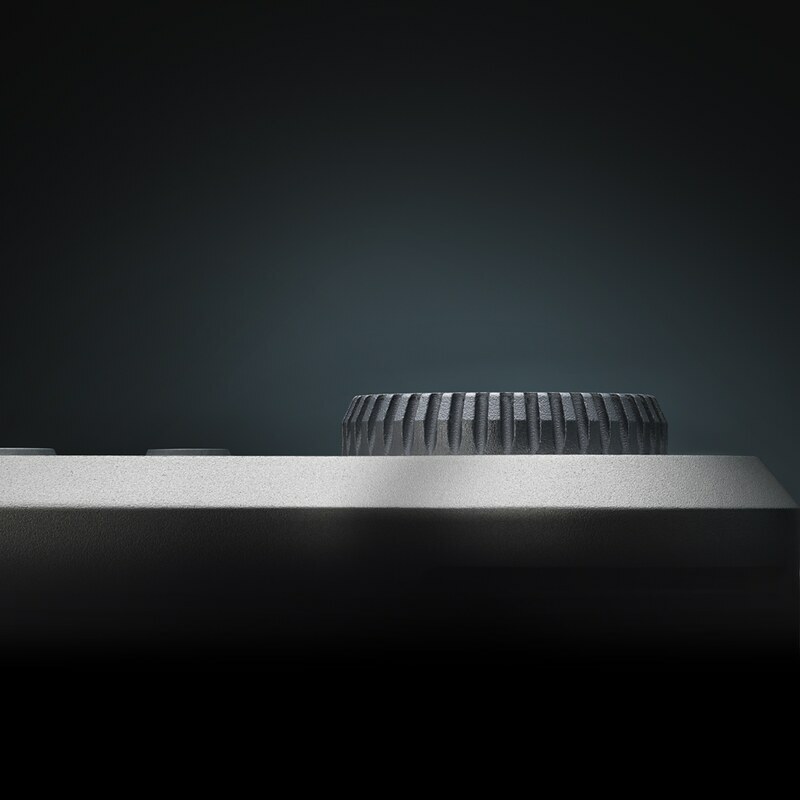 A laser powered 3D scanner out to infinity – rendering 1TB per image camera? Selling for $150k Euros? ….sorry Ming had to do it…. Was just in jest. But if “Perry” is DevOps-ing something here I’d definitely support; kickstart/Indiegogo? a fullframe (35mm) equivalent camera. It looks like a Leica T.
the vast majority of photographers won’t be able to afford it anyway. looks like its gonna be a leica SL competitor! Judging from the hump in the photo. Can’t you give us a hint or a clue? What’s this about twice the size of a FF-sensor, in your backtrack comment? 48 x 36 mm, 50 MB, equates to 5,8×5,8 um.. Is this a true statement? I didn’t write that, the page with the backtrack did.